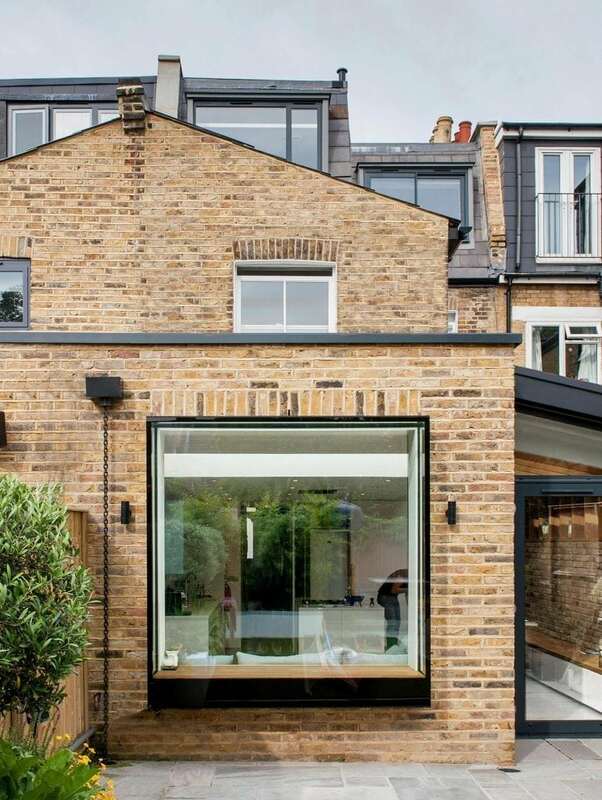 Inside this unassuming Victorian house is a unique total refurbishment supplemented by rear and roof extensions. 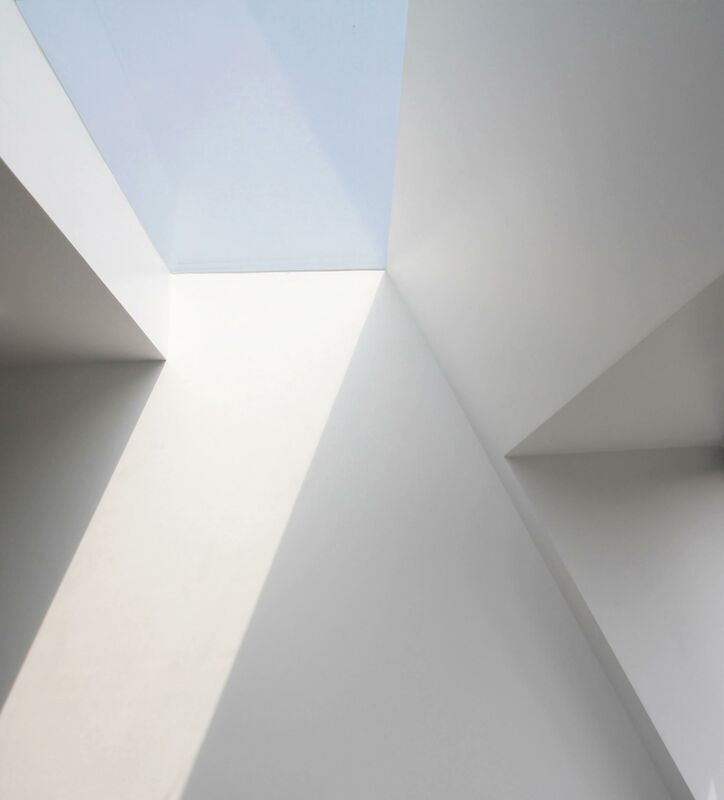 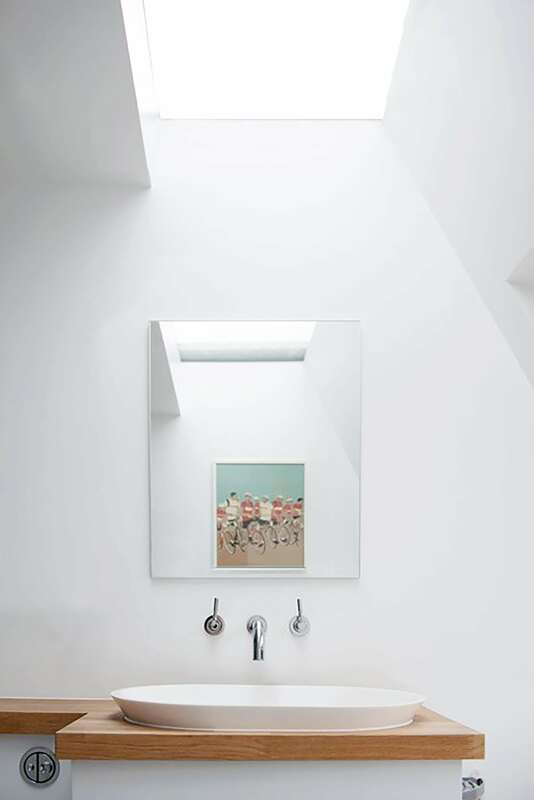 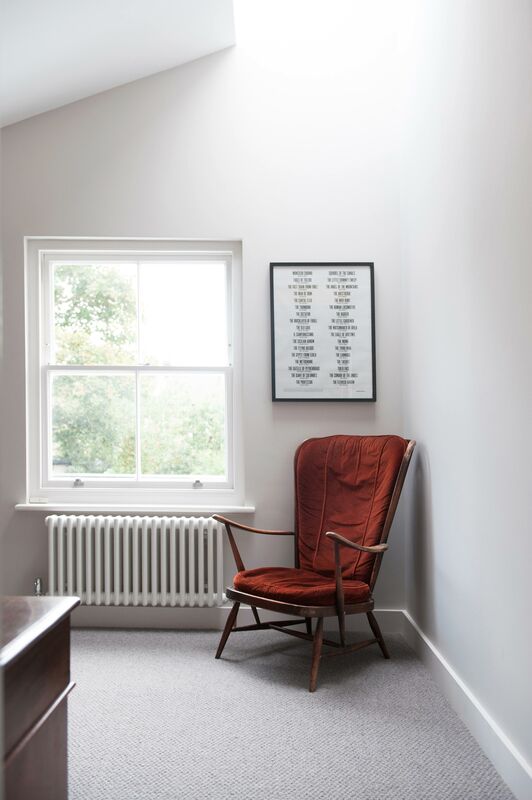 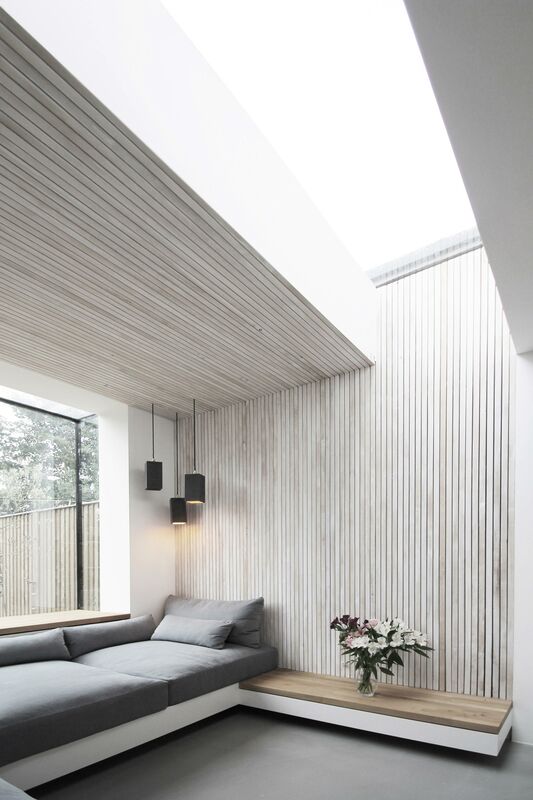 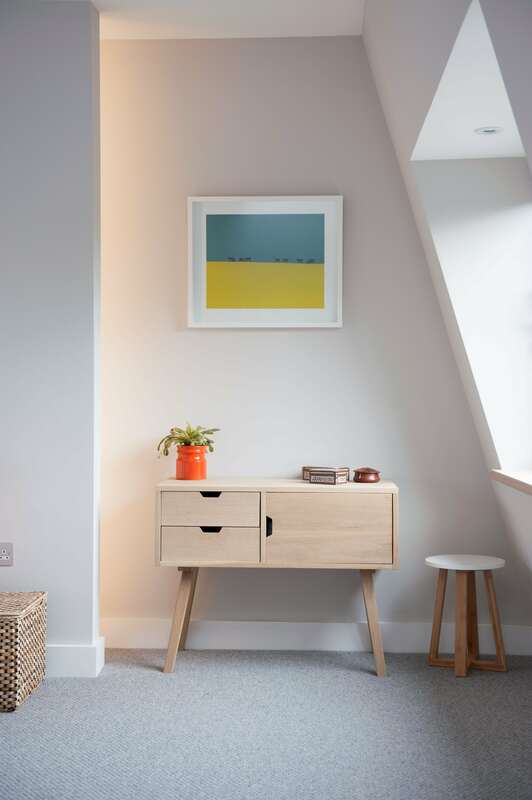 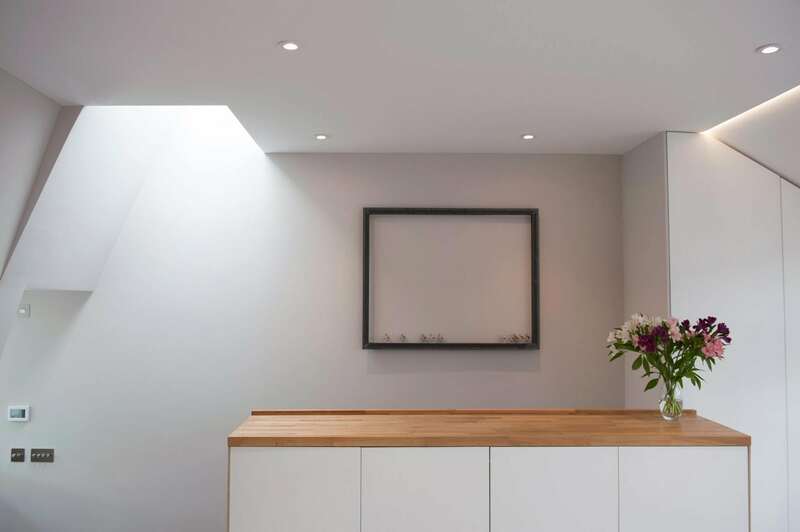 The young family approached Studio 1 Architects to create a healthy, light filled, “contemporary but warm”, family home. 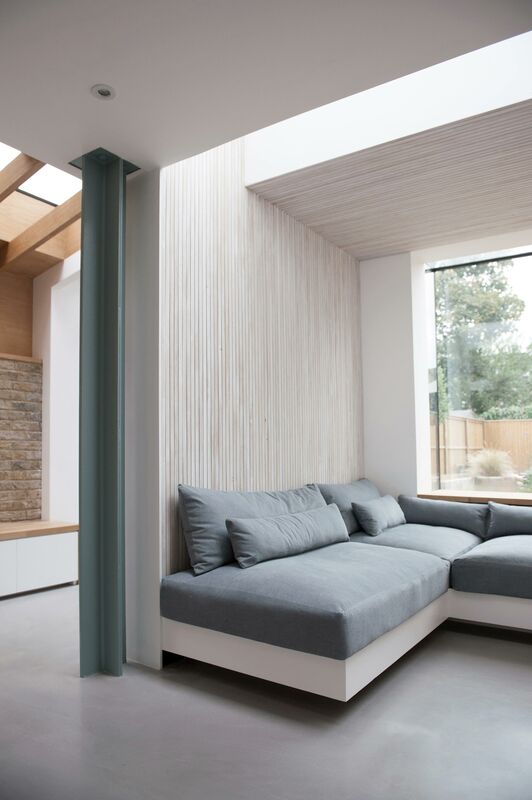 Through thoughtful use of materials and light, the rear family room is split into three distinct zones. 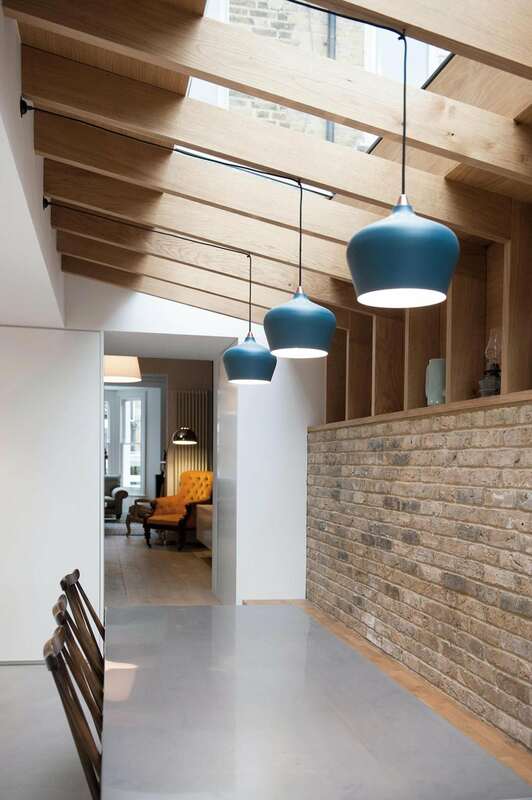 The use of exposed brickwork, timber panels, oak ribs, skylights and a long built in bench helps to clearly define the dining area. 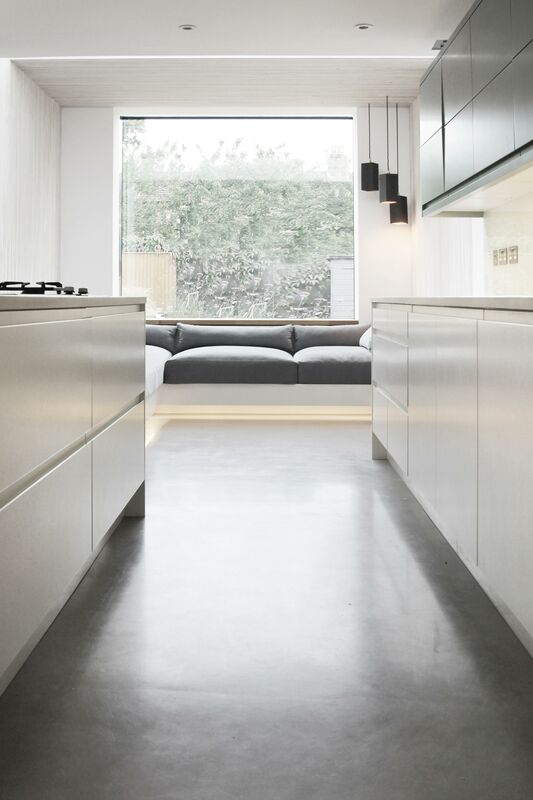 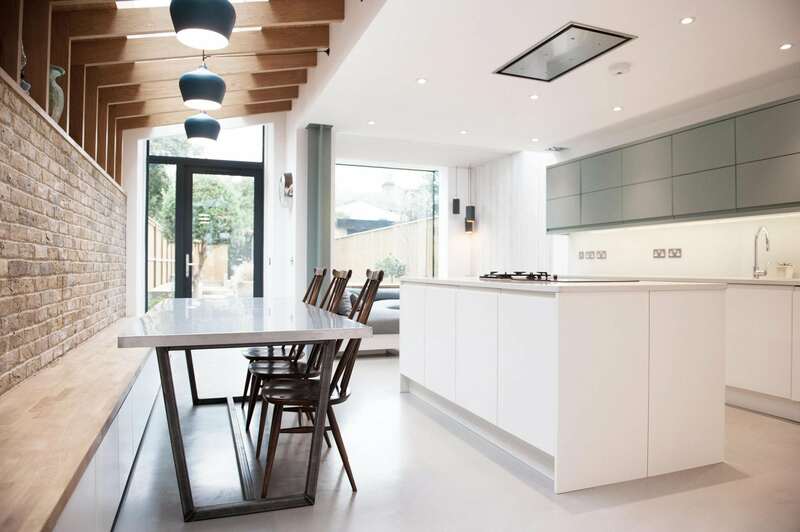 Clear simple lines of the kitchen, island, built in storage and concrete floors create a simple yet functional kitchen; whilst a projecting glass box, whitewashed ash slats, fitted seating and a large seamless skylight create a calming and intimate connection with the garden. 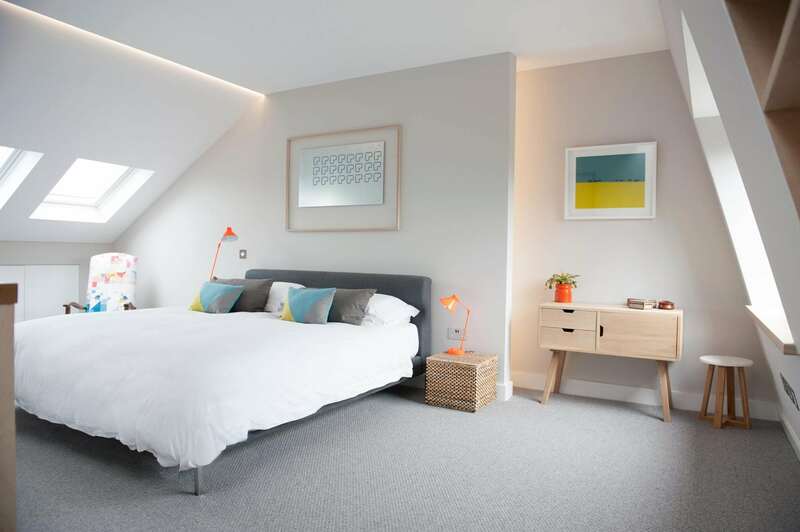 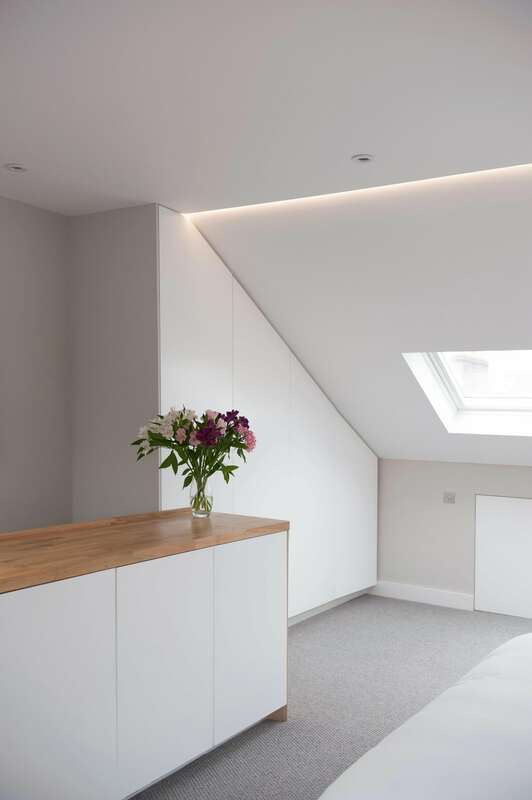 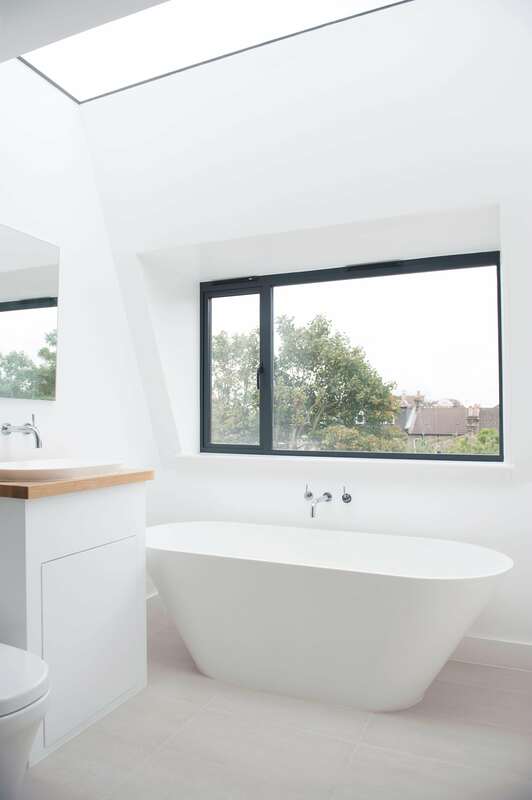 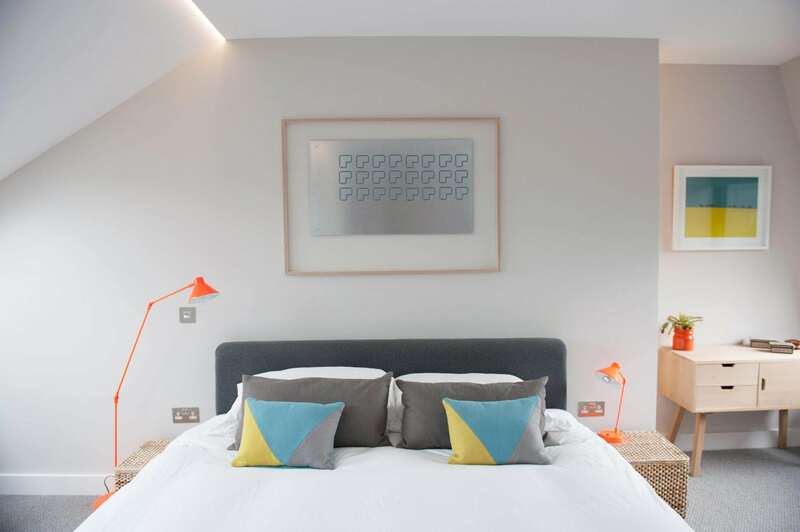 The addition of a mansard roof created a large open plan bedroom and a generously sized en-suite bathroom. 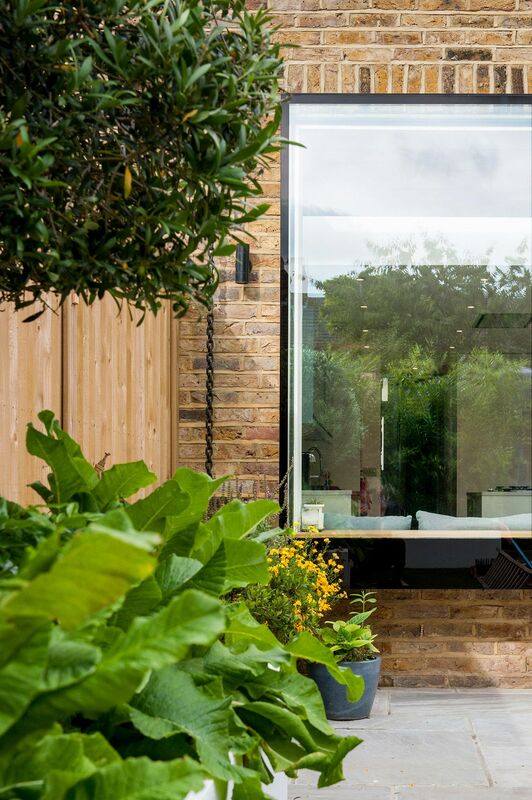 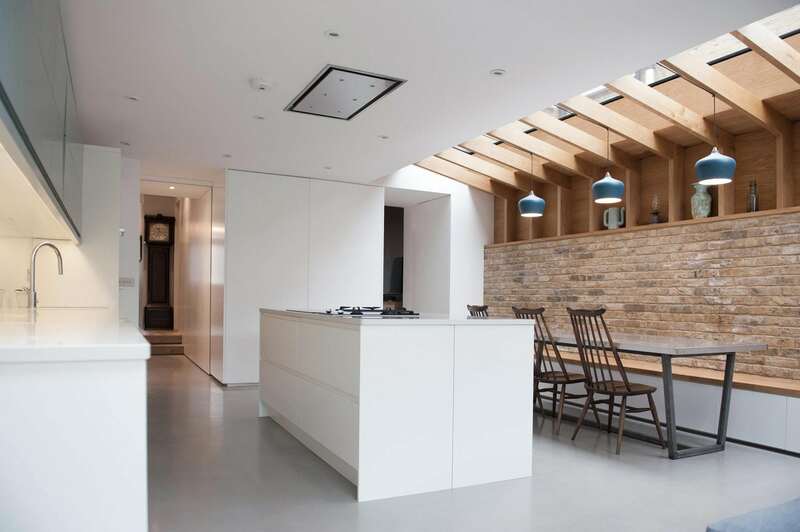 This property has been widely featured in DEZEEN online magazine, Grand Designs magazine, Inside Outside magazine, Renovate magazine and Open House London.